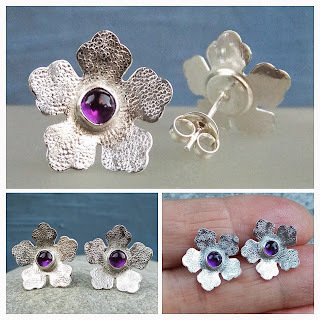 Handmade Metalwork Wirework Sterling Silver Gemstone Flower Earrings, USD$51 from KSJewelleryDesigns. 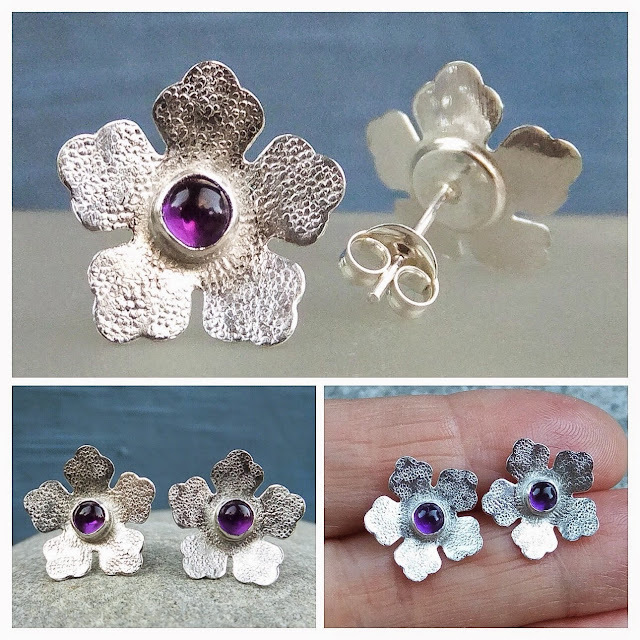 The beautiful amethyst cabochons set on textured flowers which Kristin have shaped from sterling silver wire and hammered with a light texture. These stud earrings are secured with butterfly backs. Flowers measures 1.5cm at widest point, 4mm gemstone cabochon.